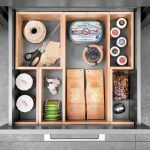 What types of storage solution are there? 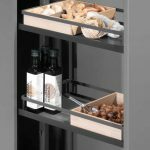 These heavy duty and robust storage solutions for corner cabinets allow you to fully utilise the space available inside the cabinet. 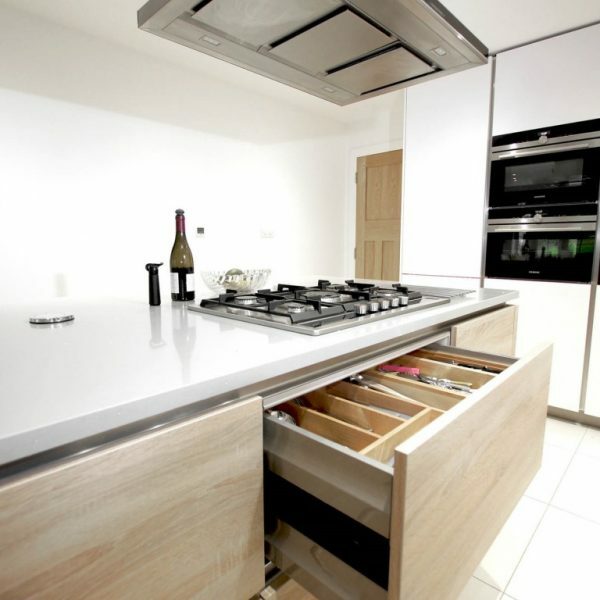 We have a range of different styles to suit different kitchen designs and the specific requirements you may have. 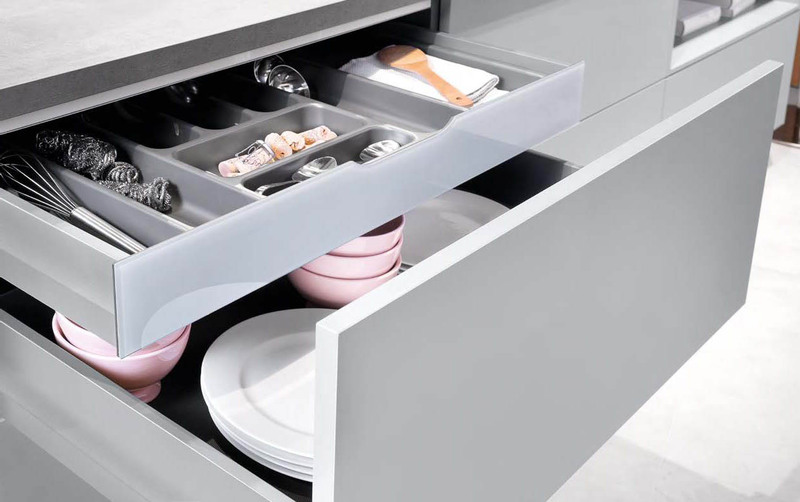 These innovative drawers have a slim draw built-in. 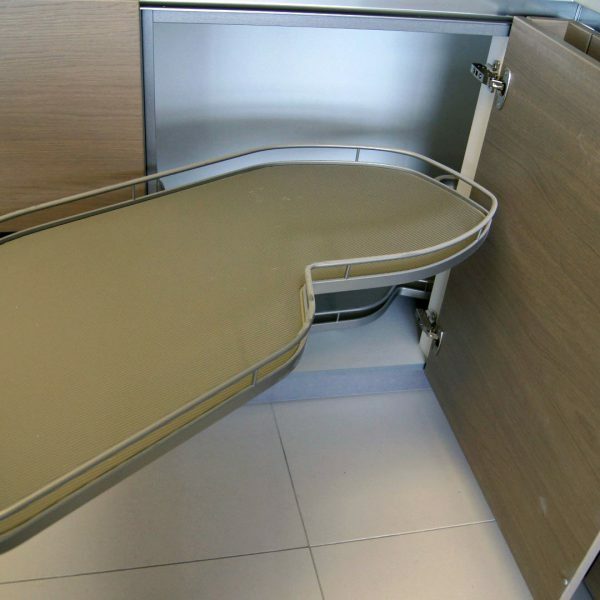 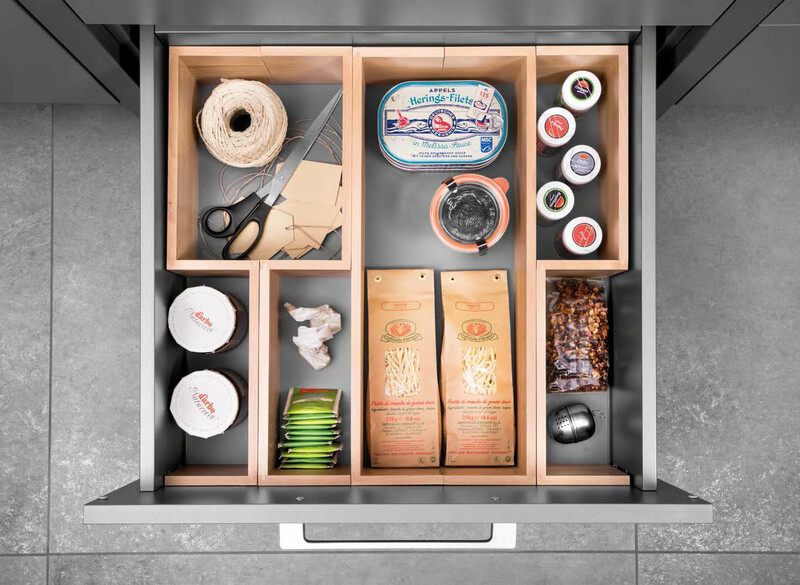 So the seamless design of a single drawer infact hides a very usable space with two or three drawers. 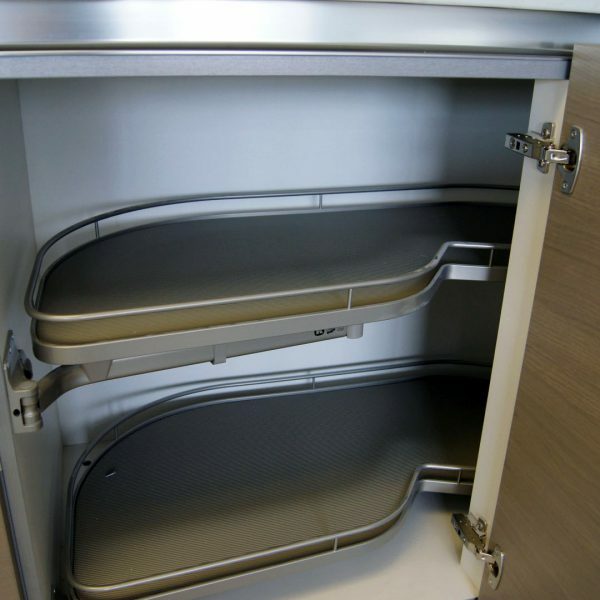 We have organisers that can be inserted into the drawers to help you keep things tidy too. 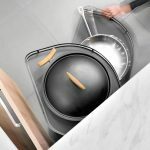 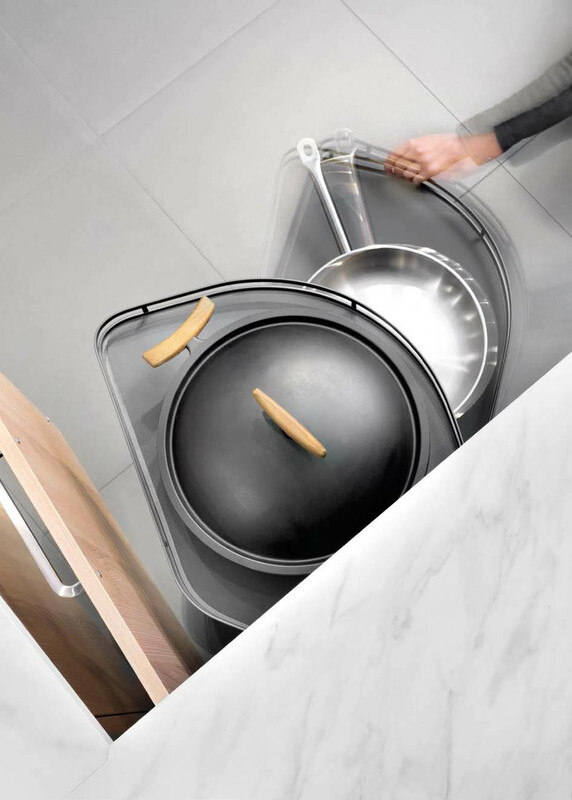 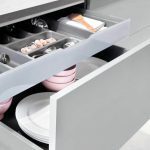 Our range of drawer organisers offer solutions to keep cutlery in place, pots, pans, sauces, herbs & spices and much more can be kept in their correct place and are available to hand immediately. 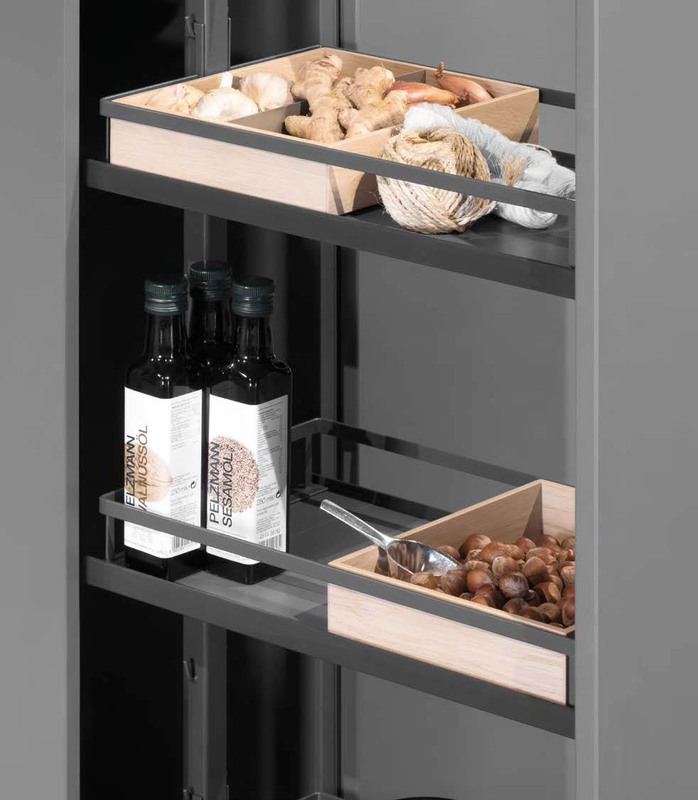 Organisers are available in real wood, plastic and metal. 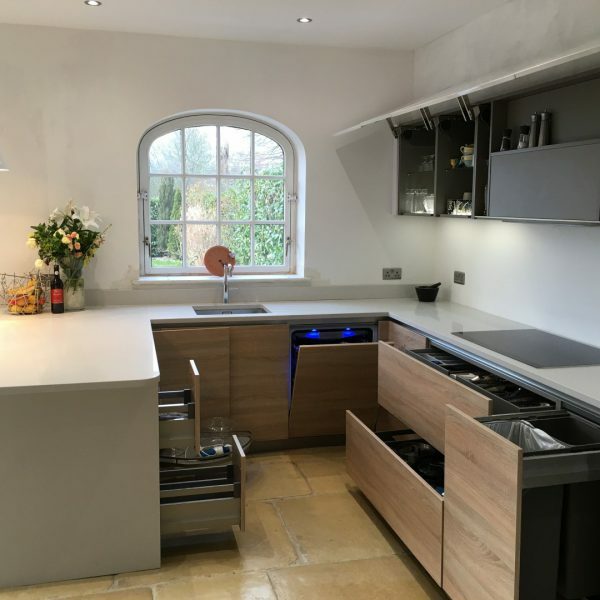 Tall larders with shelves are a thing of the past, make full use of the space and give twice the access by using pull-outs for your tall units. 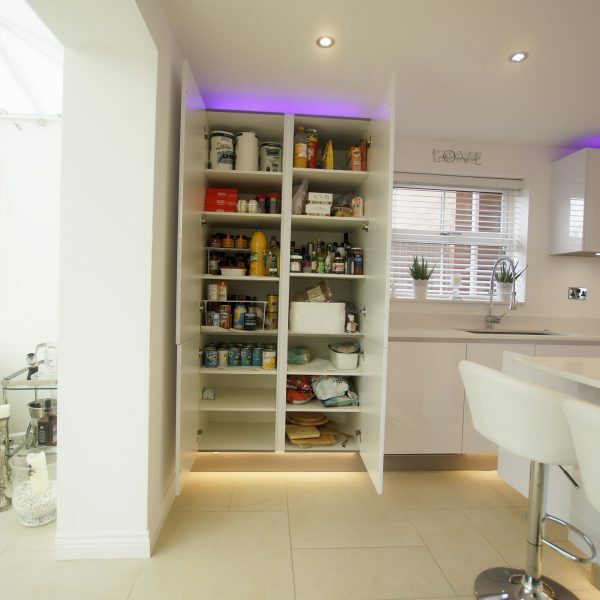 Behind a single tall door, you can pull out to reveal versatile shelves with access to the very back! 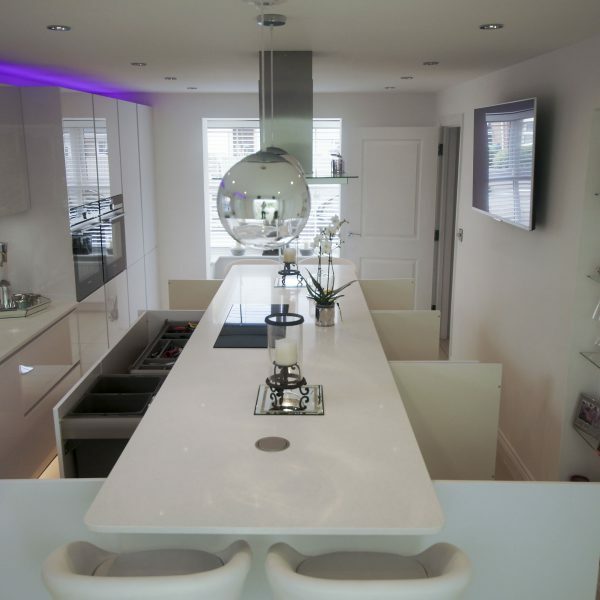 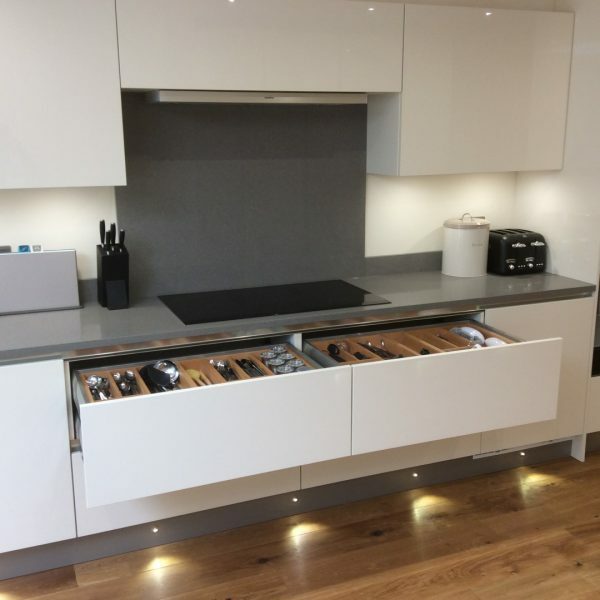 Some examples of kitchens we have designed and installed with various storage solutions.